The baby shower is a time of immense joy and anticipation for every mom-to-be, because that is when her friends and well-wishers gather to welcome her tiny tot to the world. 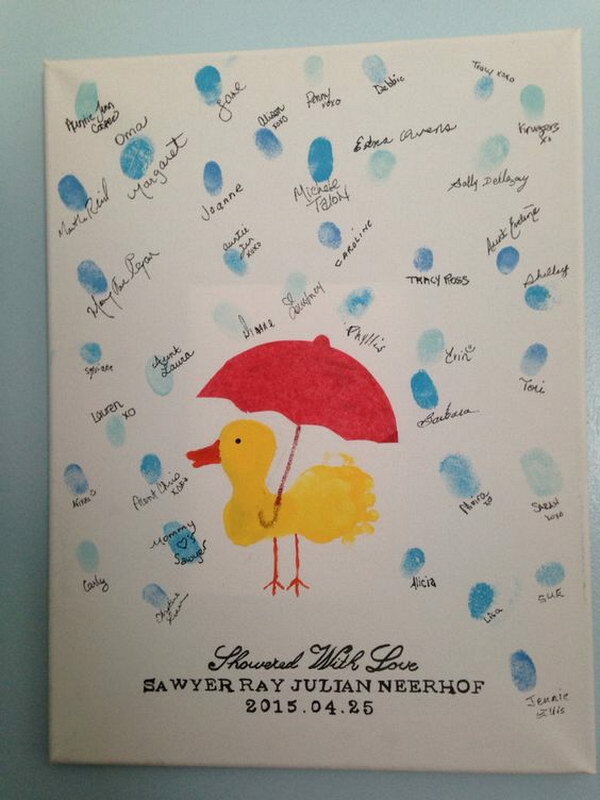 A great way to preserve this memory is by creating a baby-shower guest book. Standard guest books with boring monograms are all a thing of the past now. 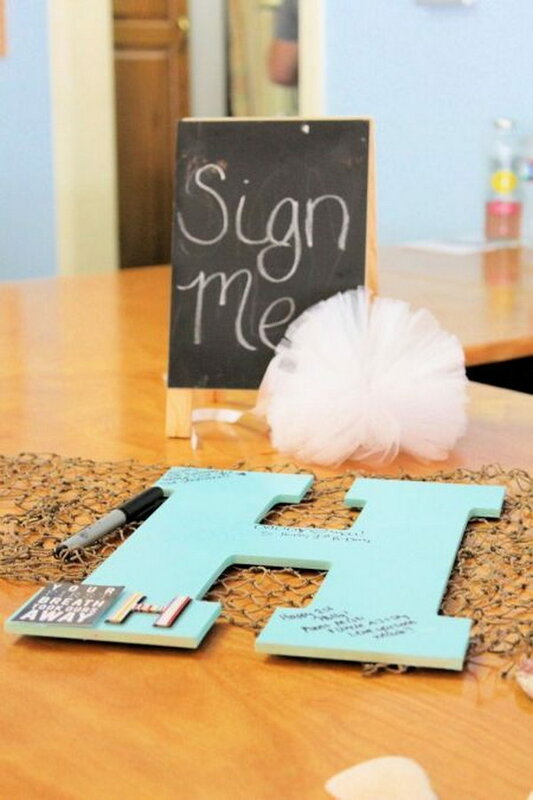 Creative and thoughtful DIY baby shower guest book ideas are the new trends of modern times. 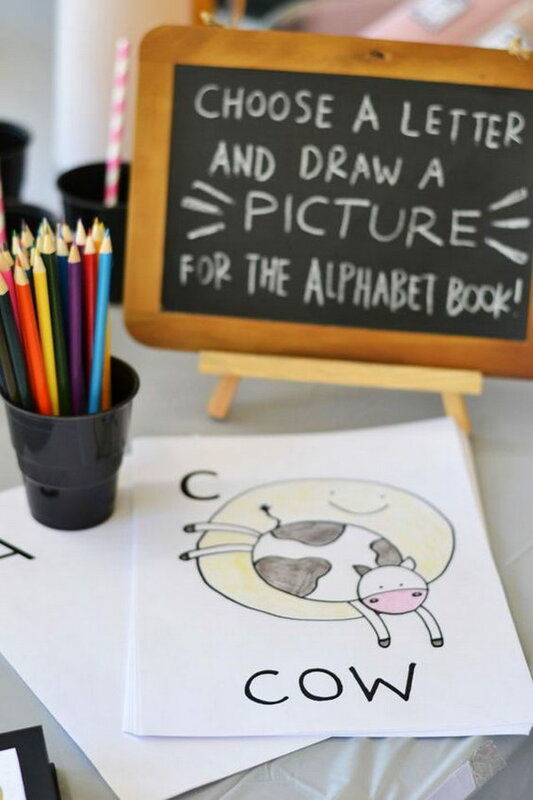 The following DIY baby shower guest Book ideas are perfect for adding a personalized and novel touch to your party, and they are as easy to compile as, well, writing your name. Nothing says “cute and lovable” more than a baby shower guest book in soft hues of pink. This free printable Elephant guest book is simple to make, especially when you have colorful card stock, scissors, 3D foam tape squares and a 1.5″ hole punch handy. You may need a baker’s twine for creating the balloon strings. To start off, simply print the guest book template on an 11 x 17 white card stock piece. Next, punch small circles from pink card stock using the 1.5″ hole punch. Now that you have the balloon cutouts ready, tape them using the 3D foam tape squares. Finish your masterpiece by taping the baker’s twines on the flip side of the balloons. via aspenjay. Baby showers are all about fun, frolic and new beginnings. And these large wooden initials in pastel hues are indeed subtle ways to express these emotions. You can get your local carpenter to make them for you in advance. Just paint them with pastel hues and arrange these initials along with markers on a pretty table. Needless to say, this is a unique way to perk up an otherwise prudent baby shower party. via projectwedding. Conventional guest books can be rather high-brow. 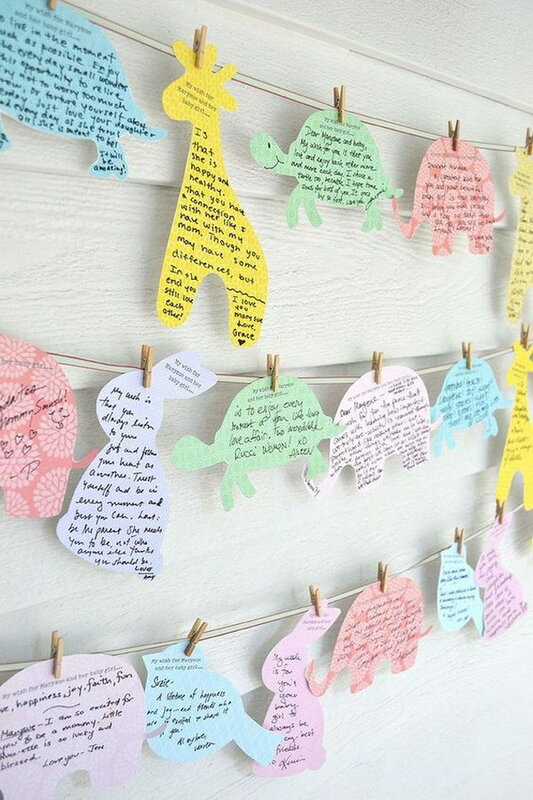 For a personalized yet fun-filled touch to your baby shower, urge your guests to pen down their heartfelt messages in colorful animal templates. All you need to do is set up a table with regular office supplies, like pastel cardstock, markers, a couple of pegs and you’re good to go. Later on, you can hang up the finished cards with ribbons for display. Alternatively, you can stash them in your keepsake box or paste them on a bright scrapbook. via artbarblog. A fancy guestbook is no match for a self-sketched card. Create one by sketching an image that best fits your fancies. Leave a message somewhere for an emotional touch. Once the sketch is complete, frame it so that it looks polished and professional. Now, leave the picture on a table with different shades of blue color ink pads. Your guests will leave their thumb prints on various sides of the image and sign their names. via indulgy. 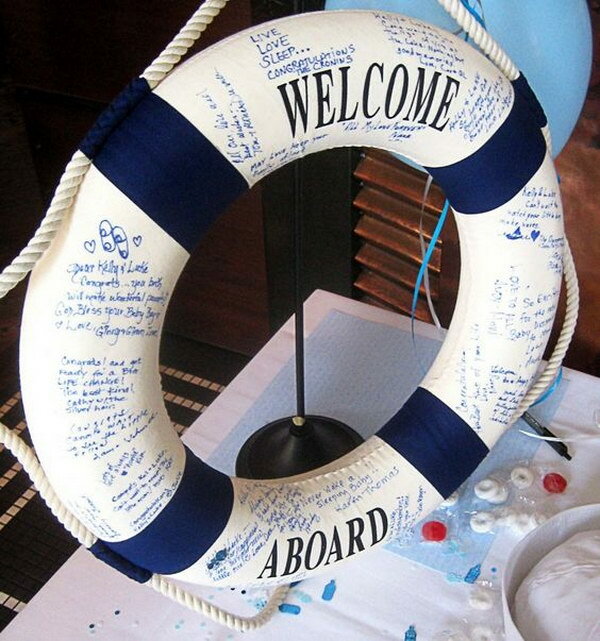 This “Welcome Aboard” life preserver for a guestbook is symbolic in so many ways. Firstly, it signifies the start of a new journey- the journey of motherhood, and secondly, it reminds every tired mother of how precious and nurturing this journey is to her. You can ask your friends to write their wishes in blue markers, so that they stand out better against the stark white background. Once the wishes are penned down, hang it up in the nursery as a permanent reminder of happy times. via projectnursery. 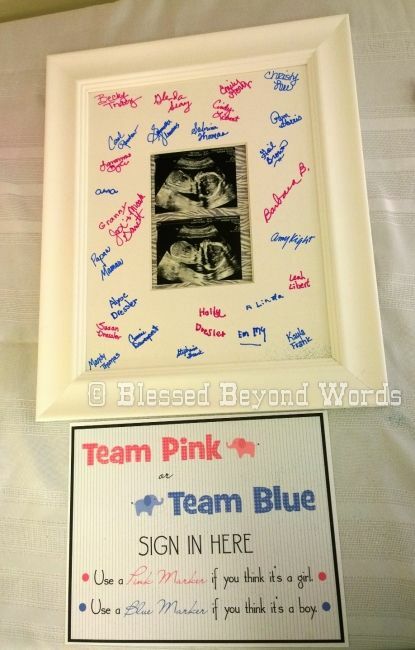 Are you hard-pressed for time and still want to create a novel guestbook for your baby shower? If yes, then you’re sure to fall in love with this simple yet unique idea. 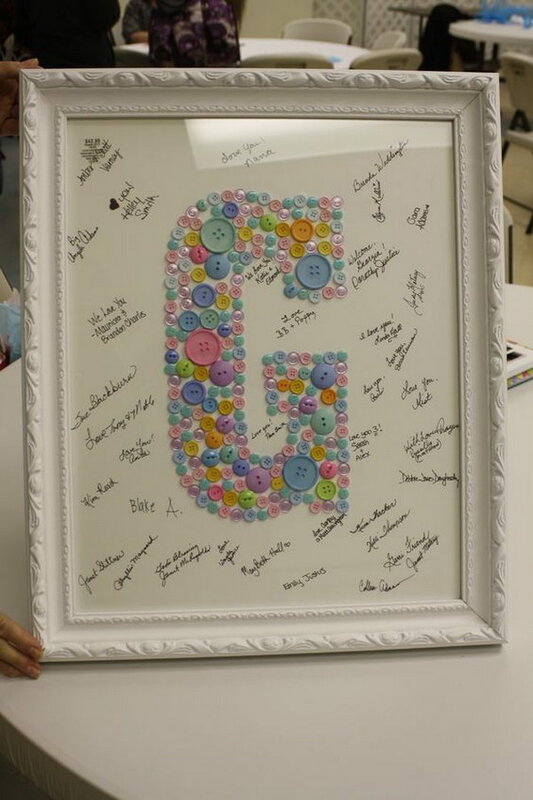 Just take a big piece of white cardstock and make a monogram of your initial (or your baby’s initial) in the center using multiple colors of buttons. Place this white card on a wooden table for a regal look. via mysocalledhome. You know what’s a great baby shower guestbook idea? One that sends a message of love and lesson both. Love for the mommy and lesson for the little one in her belly. 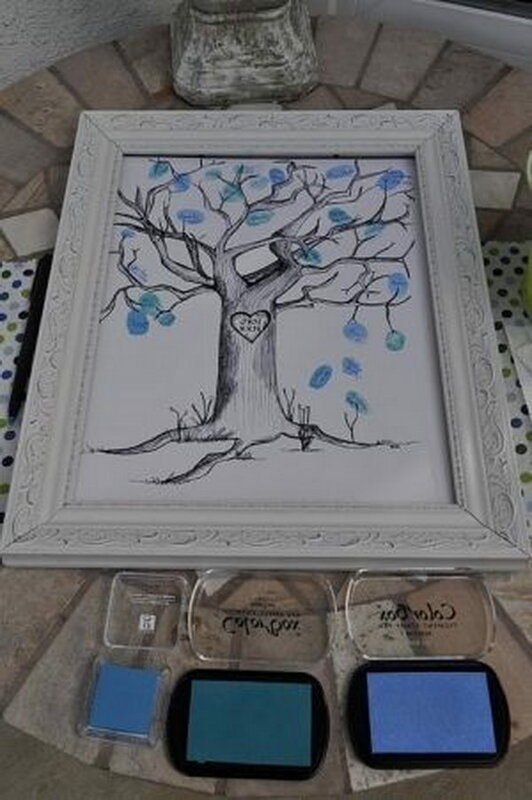 Inspire your guests to create artistic messages with this colorful and simple guestbook idea. You will need a basic drawing book and a set of crayons. And don’t forget the wooden slate to announce your idea in the cutest way possible. via lifeisbutterful. For an emotional start to every day as a new mommy, consider using personalized bibs that have been signed by your baby shower guests. 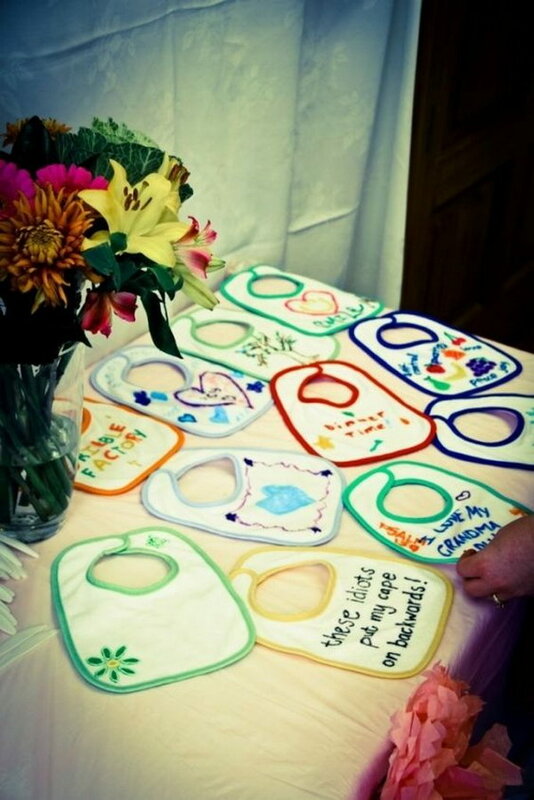 You can spread out an entire assortment of baby bibs in light, pastel hues on a table. To throw in some color, place a vase of showy, bright flowers beside and keep some fabric pens handy for use. via indulgy. 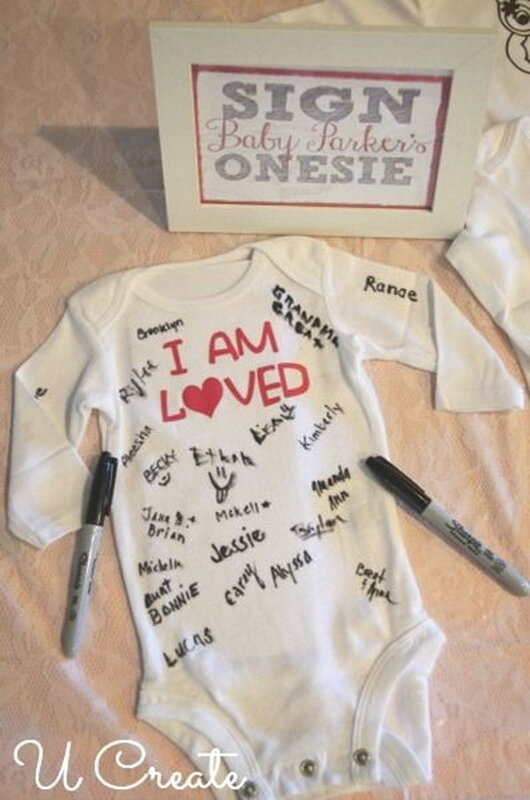 An adorable onesie in place of a standard guest book is sure to be a great conversation starter at your baby shower. This idea is both cute and quick to make. You will need some sharpie makers, a digital craft cutter and a white newborn onesie. To proceed, simply use a digital craft cutter to create the heat transfer. Once you’ve ironed the design on the onesie, place a cardstock piece on the inside of it. This done, attach a small tag beside inviting your guests to leave their best wishes and advice. via u-createcrafts. 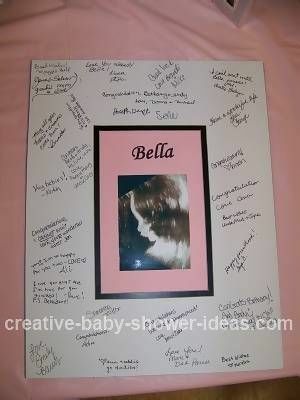 The perfect guestbook idea is one that infuses some fun, creativity and emotion in your baby shower. Decorative, conveniently sized blocks do exactly that. 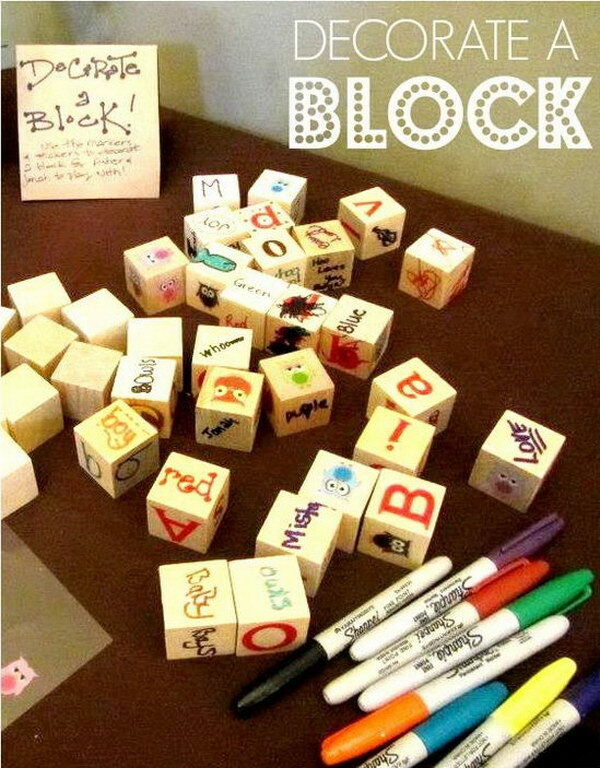 Have your guests leave their initials and messages on these blocks. You will need varying colors of Sharpie markers and beige blocks. Create a catchy sign on baby pink cardstock inviting guests to sign on the blocks. Years later, when you’re down and out and busy struggling with parenthood, these will act as tiny reminders of all the precious sentiments you felt on this joyous day. For those mothers who have already decided their baby’s name, this is a great way to commemorate a baby shower party. Instead of using boring paper cut-outs, go the quirky way with these bright, showy buttons. Do not bother much about size. To create a gigantic monogram of your baby’s initial, just send your imagination to overdrive and experiment with buttons of varying sizes and shades. You will need white cardstock, around 11×17 inches to paste these buttons. Once the wishes are penned down, frame the guestbook for the sake of nostalgia. via pinterest. 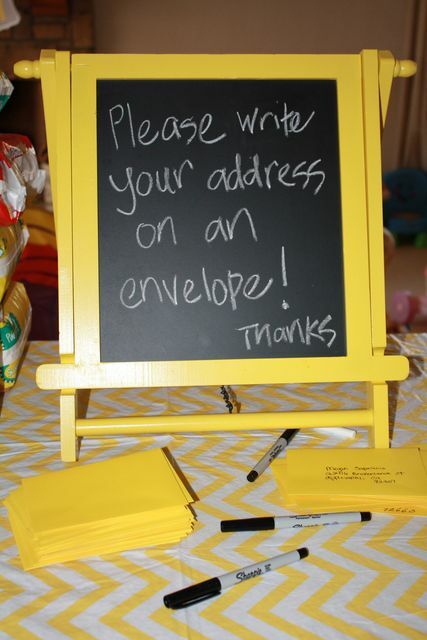 With a wee bit of ingenuity, a guestbook can become the focal piece of any baby shower setup. 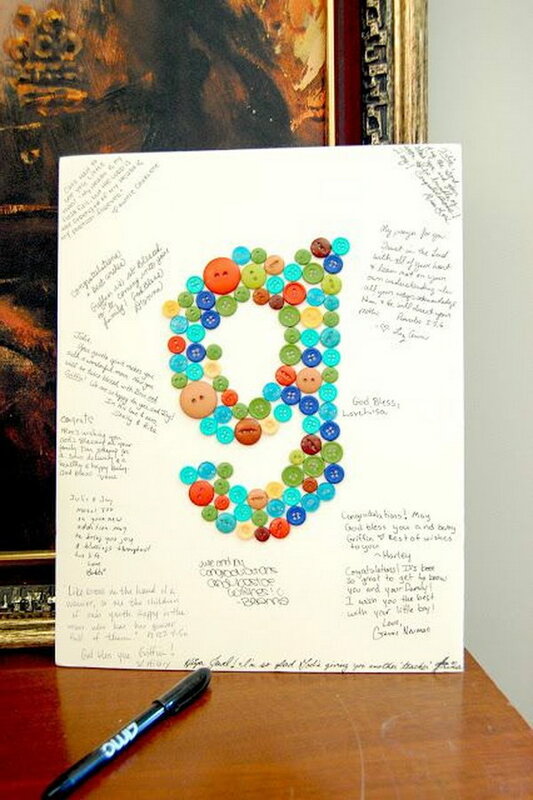 If you’re someone who prefers not to show off, this classy yet catchy guestbook idea is your answer. 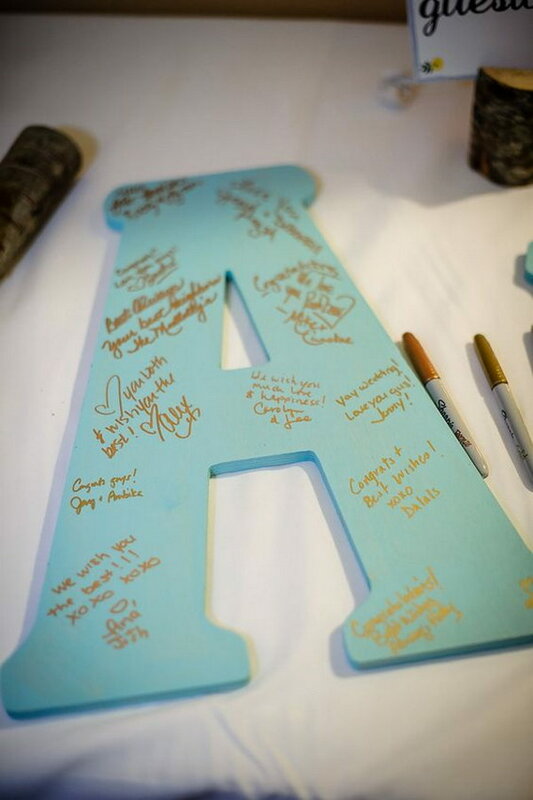 Get a large wooden monogram of your initial and invite your guests to sign their names on the same. You can customize this monogram further by attaching small notes or a stylish add-on. Scribble a poignant “sign in” note on a wooden slate and leave a small puff beside for a plush look. via one-stop-party-ideas. Inspire your guests to jot down their wishes on cute, pink cut-outs of baby onesies. These cutouts are easy to avail as they come in a printable format. Choose cutouts in soft hues like pink, white and grey. Now hang them up on matching strings using pegs. Tape the strings along the sides of an empty frame for a more defined look. Now, stock up clothespins in a glass bowl, pens in a bright pink mug and set them all up on a small table. Do you have all your distant relatives coming over to your baby shower? Well, then you must be really looking for ice-breakers to include in your party. An interactive and artistic guestbook idea like this gets even the most serious oldies excited and talkative. Just take a white piece of cardstock and draw a tad imperfect cartoon for a cute effect. Leave the rest of the space for thumbprints that your guests will make. You’ll need to keep some blue ink pads handy as well. Later down the line, you can frame this little piece of art as a priceless memory in your baby’s nursery. 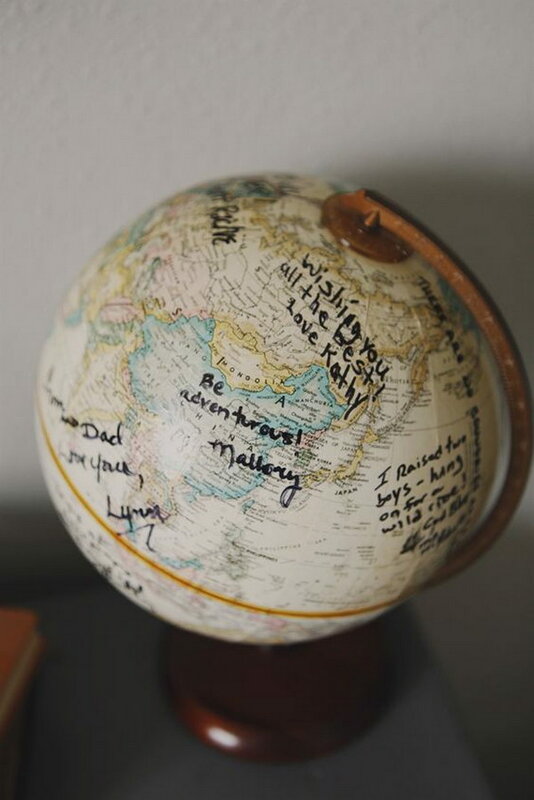 A globe can be really thought-provoking at times, especially when it’s being used as the sole guestbook in the baby shower. All you need is a globe and some permanent markers, that’s it. Now before you dismiss this idea as a thoughtless one, just imagine the fun you’ll have by turning the globe round and round and anticipating the message it will stop at. 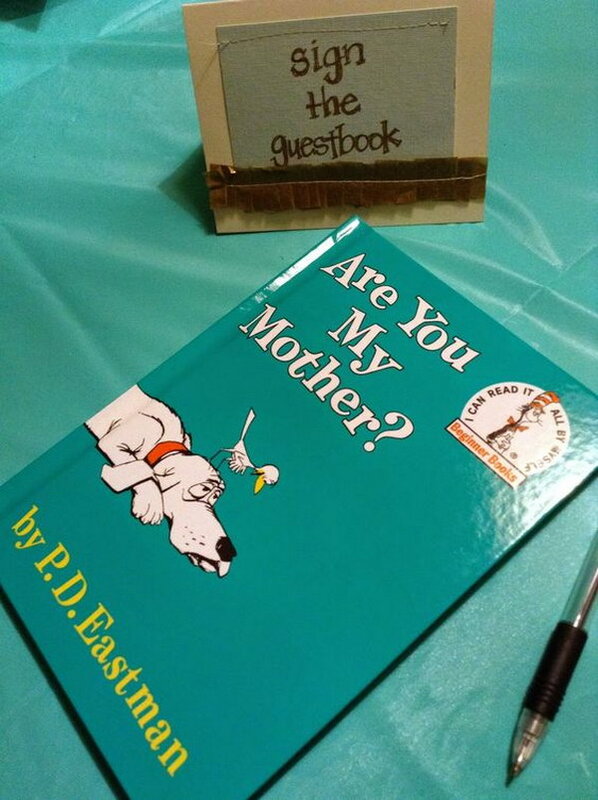 A brightly colored children’s book is a great guestbook idea for a baby shower, especially when it’s accompanied by an elegant, fuss-free “sign me” note. Create this “sign in” note with a piece of beige cardstock. Seal a smaller piece of grey cloth and use contrasting stitch detailing to define the borders. You can be innovative here and have fun with different fabrics like silk or satin to delineate the sides. Whatever fabric you use, choose earthy tones only, like golden, bronze or bottle green. via looktohimandberadiant. Amidst the rigors of pregnancy, the mommy-to-be often forgets to smile. With a heartwarming baby shower guest book idea like this, you’ll feel surrounded by your loved ones and well-wishers even when your tiny tot wakes you up in the middle of the night with his unending cries. To compile this guest book idea, set up a pack of diapers in a classy storage book. Arrange for markers as well, permanent ones if possible. Leave a short note encouraging the visitors to share their sentiments. Once done, place the diapers in rows and store the box for later use. via pinterest.